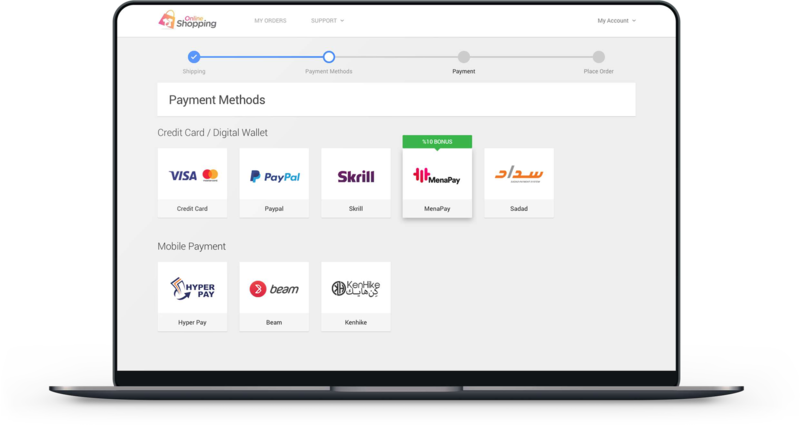 MenaPay is the first fully blockchain based payment platform which focuses on the Middle East and North Africa region (MENA) primarily. It is a platform that allows transactions on a blockchain with very low transaction fees, is not affected by fluctuation of cryptocurrencies, faster and more secure than any traditional payment gateway. MenaPay has been designed to comply with Islamic finance requirements. The MenaPay Platform does not use or give interest, and proves this via witnesses thanks to the blockchain technology. The MenaPay Platform shares the revenue of the platform with the MenaPay Token Holders in accordance with Islamic finance approach. As a result of this structure, MenaPay is expected to help the digital transformation of the region. MenaPay has its own stable coin “MenaCash” which is designed to be used in any online and offline transactions for the intention of daily usage. MenaCash has a stable 1 US Dollar value which is warranted by the same amount of USD kept in multiple banks as fiat currency equal to the amount of MenaCash in circulation. MenaCash solves one of the huge problems to use cryptocurrencies in daily life for users; fluctuation. The main objective of the project is to make it possible, easy and secure to transfer money for each and every user by using the advantages of today’s high–end technology, which is a requirement of the new digitized world. As you can see in the following parts; it is obvious that there is a need in MENA region for a revolutionary payment system which can solve many problems that current old-fashioned banking system brings; such as security, difficult transaction process, highly expensive transaction fees, and yet a system that complies with Islamic beliefs. 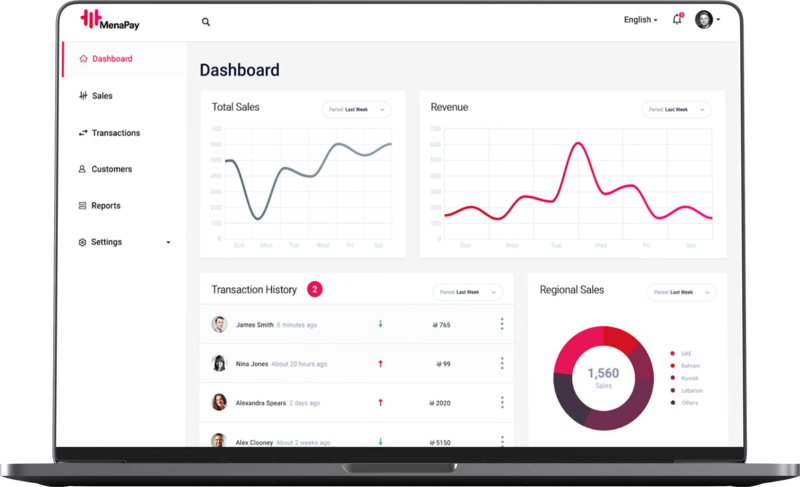 MenaPay’s products are also designed with excellent Arabic user interfaces, advanced data tools for both users and merchants to disrupt not only cash dependent payment system but also oldfashioned banking tools. MenaPay aims to become the most commonly used cryptocurrency in the MENA region. Focusing on 18 countries and 441 million people, MenaPay carries the mission of becoming the largest non-bank payment solution by using blockchain technology while generating significant returns for the investors. The business model that you can review in detail in this paper will create a whole new standard in crypto industry by distributing 75% of total revenue among MenaPay Token Holders. MenaPay Token Holders will be the nucleus of a huge community to disrupt traditional banking system in MENA and will create the most advanced financial system which will cover the entire region with Islamic compliant, transparent and decentralized structure. Today, traditional financial system instruments such as banks, credit cards, debit cards and cash suffer from the lack of security, slow and inconvenient ways of transaction. These traditional financial institutions spend huge amounts of money and resource to prevent fraud but none of them fully succeed. Blockchain is the only way to solve all these problems that current banking and payment systems have, till a better technology comes out. The region is our first priority as MENA does not have a similar non – bank payment system. Just like any other revolutionary dynamic; technology grows with the power of people who believe in it. MR = Total net revenue of the month N. Total net revenue is calculated after deducting the applicable taxes, fiat currency transfer costs, mining reserve share and any direct cost associated by the gross revenue of the foundation generated from transaction and cash out fees. TT = Total number of MenaPay tokens held in the native wallets. (MenaPay tokens native wallet and wallets in the MenaPay payment applications are considered into the calculation). In order to be calculated in the MenaPay tokens distribution list for the revenue share, the wallet should have at least 1,000 MenaPay Tokens tokens on the first day of the month N+1. N + 3 = The month that revenue is distributed. While creating MENA region’s first blockchain based common payment system, MenaPay Foundation will collect the necessary funds with an ICO, which is a safe and innovative way of fundraising. Note: No further tokens will be created after the ICO. Transaction fees will be 1% on average and cash-out fee will be 5% on average. This article does not constitute investment advice.